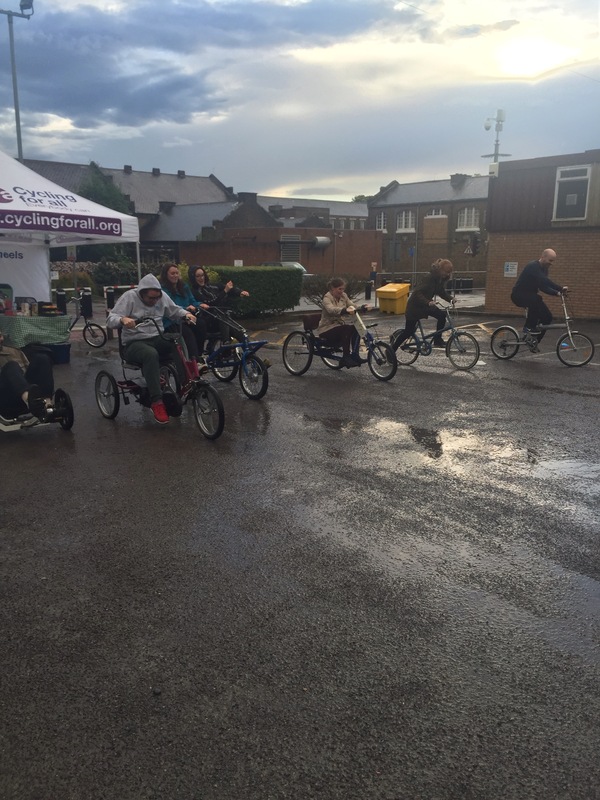 Cycling: we had a hilarious evening of cycling with the guys from wheels for wellbeing. They brought us all kinds of bikes from some pretty sedate tricycles to some terrifying low slung speed machines, and we got to test them out. Most of us were a bit tentative at first but after a few laps we were flying (well, cycling). Despite the random hailstorms everyone really enjoyed themselves, and proved that you really never do forget how to ride a bike! 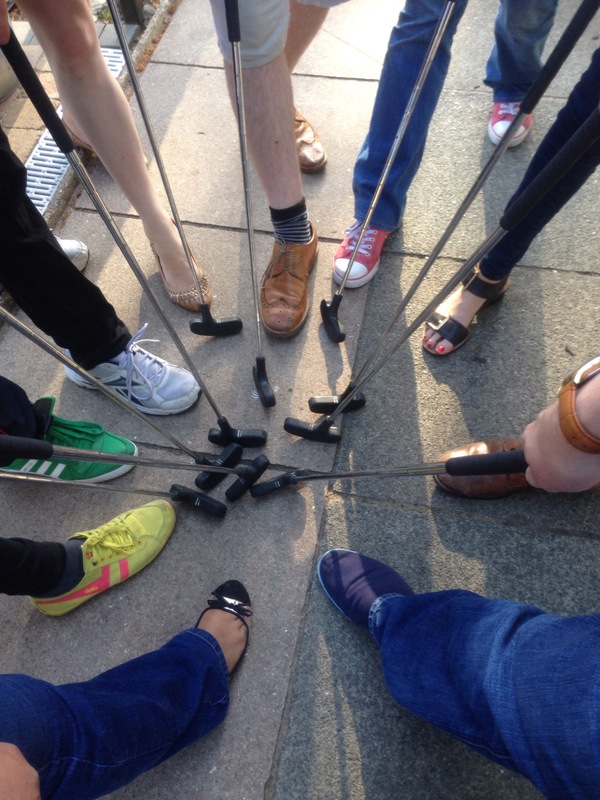 Golf: we revisited our old favourite putt in the park. Luckily we were in for some nicer weather, and enjoyed a good round of (mini) golf under the sun. The place was really popular after it had been featured on made in Chelsea – good to know they’re taking inspiration from our activities..! 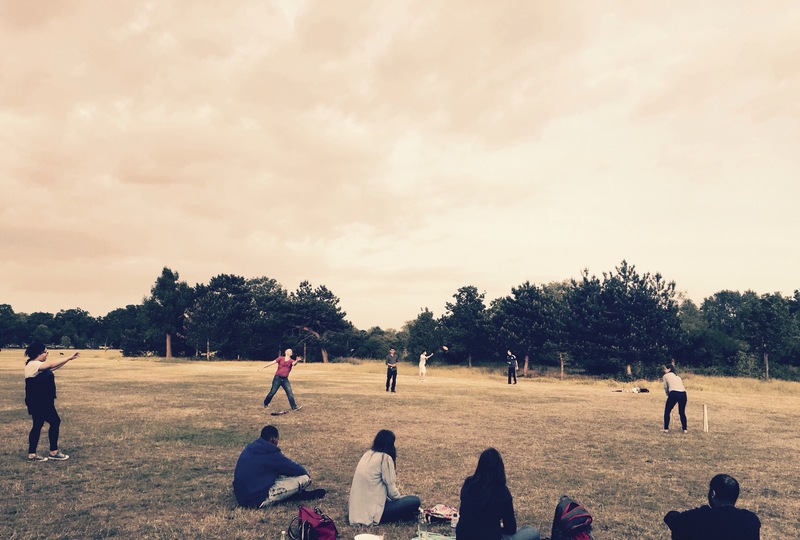 Picnics: there have been a few lovely long summer evenings spent with a picnic on the common. Our group loves doing this as its so relaxed and just gives people a chance to catch up. A recent addition of cricket bat saw us take some inspiration from the ashes (no Australians around to beat this time) and get some exercise to work off all the picnic food.